It has been a buzzing year so far and we are thrilled to announce our upcoming restaurant project, Gymkhana Dubai at the Dubai Mall. Gymkhana Dubai is inspired by Indian ‘gymkhana’ clubs, a British–colonial term for sports club where members of high society socialized, dined, drank and played sport. The interior design of Gymkhana, Dubai, is evocative of the clubs of colonial India with references of distressed teak, beaten rustic metal tables, brass edging on tables, rattan furniture, and buttoned chesterfield love booths to name but a few. Watch this space for more as we progress with the project, which is due for a soft opening in mid June 2018. We are pleased to be working on the upcoming American boutique restaurant chain and curated food retailer, Dean & Deluca in Kuwait, which launches in early May this year. 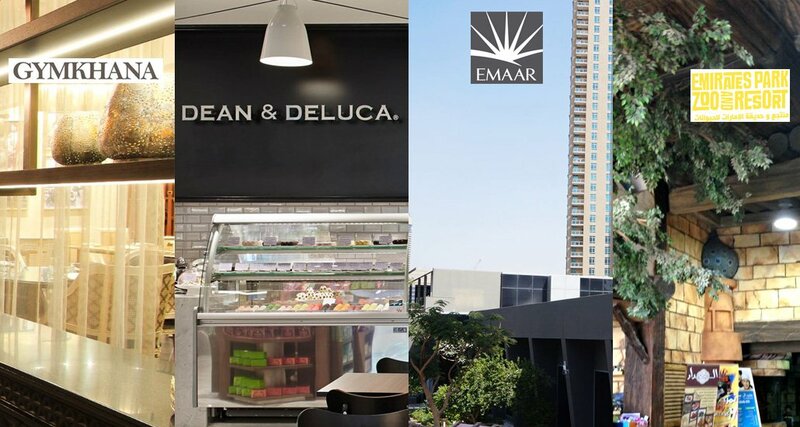 Emaar has asked us to supply them with luxury outdoor seating for their sales center extension, an add-on to the project we did with them in 2017. Thank you Emaar! Yet another exciting project for the Emirates Zoo Parks and Resorts in Abu Dhabi which is finally winding up after almost 3.5 months of rigorous work. We were invited to make bespoke furniture for this project including Italian marble tables, pinewood tables and upholstered chairs in a variety of designs and finishes for their new restaurant adjacent to their existing Shisha bar. A few glitches here and there aside, we are a proud and happy bunch seeing it all come together to life in a 3 dimensional space! The restaurant officially opens in 2 weeks and we shall post more pictures soon. This entry was posted in Fabiia News, Interior Design and tagged custom make furniture, Designer Rattan Furniture.